Ensembles of nitrogen-vacancy color centers in diamond hold promise for ultra-precise magnetometry, competing with superconducting quantum interference device detectors. By utilizing the advantages of dielectric materials, such as very low losses for electromagnetic field, with the potential for creating high Q-factor resonators with strong concentration of the field within it, we implemented a dielectric resonator antenna for coherent manipulation of a large ensemble of nitrogen-vacancy centers in diamond. We reached average Rabi frequency of 10 MHz in a volume of 7 mm3 with a standard deviation of less than 1% at a moderate pump power. The obtained result enables use of large volume low nitrogen-vacancy concentration diamond plates in modern nitrogen-vacancy magnetometers thus improving sensitivity via larger coherence time and higher optical detected magnetic resonance contrast. Supplementary materials are available for this article at https://doi.org/10.1134/S0021364018210014 and are accessible for authorized users. 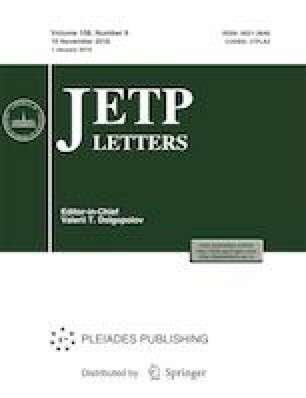 Supplementary material is available for this article at https://doi.org/10.1134/S0021364018210014 and is accessible for authorized users. Supplementary material, approximately 1067 KB.